U Tong Chuk is a Korean People’s Army [KPA] General [taejang] who serves as Senior Vice (1st Vice) Minister of State Security (also known as the State Security Department). Until April 2012, Gen. U was a member of the DPRK National Defense Commission [NDC], the government supreme leadership organization, an alternate (candidate) member of the Korean Workers’ Party [KWP] Political Bureau and a member of the Party Central Military Commission. U’s career background is in counterintelligence, as well as intelligence operations. From 2009 until 2012 he was responsible for the daily operational management of State Security. Gen. U is linked to NDC Vice Chairman Gen. O Kuk Ryol and had personal ties to the DPRK’s former #2 official Jang Song Taek. Since 2012, Gen. U has assumed a behind-the-scenes role and his last observed public appearance in DPRK state media occurred during war anniversary events in July 2013. U Tong Chuk’s official career began in the late 1960s. Like many current members of the central leadership, U’s first official position was as an instructor under the KWP Organization Guidance Department [OGD]. He was eventually promoted to section chief where he was trained and tasked to work in counterintelligence at State Security. His State Security appointment was made personally by late leader Kim Jong Il (Kim Cho’ng-il). U served in several overseas tours of duty, primarily in central and east Europe. In the 1980s he was promoted to and held several middle management positions in State Security’s surveillance and foreign affairs bureaus. He was promoted to department director and elevated to Vice Minister in the 1990s where he coordinated the DPRK’s relationships with foreign intelligence agencies. In 2003, U held a senior management position at State Security, seemingly running some daily affairs. During 2006-2007 Kim Jong Il elevated U’s management position at State Security. According to his official biography broadcast on Korean Central Television in September 2010, he was appointed senior vice minister of State Security in September 2009; however this merely publicized a position he had held for at least two years. Gen. U was elected a member of the National Defense Commission, as well as promoted to Colonel General, in April 2009. He attended Kim Jong Il’s inspection of a university responsible for training senior State Security officials in May 2009, a very rare reported public appearance to an internal security agency by the late supreme leader. According DPRK state media reporting he attended a dinner reception hosted by Kim Jong Il for former US President Bill Clinton in August 2009. U traveled to China for a week in November 2009 and was observed later that month attending a concert by personnel of the Ministry of People’s Security. On 28 September 2010 U was a rostrum member at the 3rd Party Conference where he was elected a full (regular) member of the Party Central Committee(CC KWP), an alternate member of the Political Bureau. and member of the Party Central Military Commission. Gen. U accompanied KJI and Kim Jong Un to a concert given by the art propaganda squad of KPA Unit #10215, subordinate to State Security. The concert was Kim Jong Un’s first reported public appearance after events of the 3rd Party Conference. U would go on to attend a number of inspection tours and other events with Kim Jong Il. By all outward appearances, U was State Security’s leading official; in fact he was the public face for Military Security Command [MSC] director Gen. Kim Won Hong who was quietly appointed Minister of State Security in 2010. U Tong Chuk (2nd row, 2nd L) in May 2011 (Photo: KCNA). 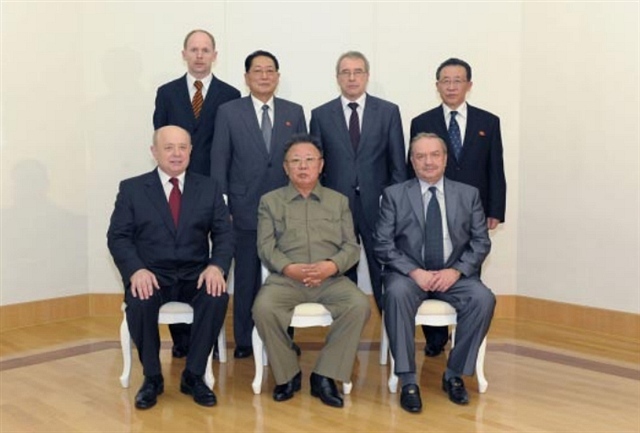 After Kim Jong Il’s death in December 2011, Gen. U was a prominent member of the mourning parties at the Ku’msusan Memorial Palace. He was ranked #25 on the National Funeral Committee list published by DPRK state media on 19 December 2011. U was one of the eight party and security officials who ceremoniously escorted KJI’s hearse. After the events of KJI’s funeral and Kim Jong Un’s appointment as KPA Supreme Commander in late December 2011, Gen. U subsequently assumed a leading role in ridding State Security and the KPA of officials that could hinder KJU’s accession. These officials were subsequently incarcerated or executed. Gen. U made his last public appearance as a senior official in March 2012. At the 4th Party Conference and 5th session of the 12th Supreme People’s Assembly in April 2012, Gen. U was removed from the KWP Political Bureau and Party Central Military Commission and the NDC. 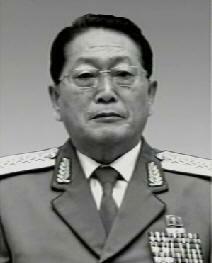 His political offices were assumed by Gen. Kim Won Hong as the MSS’ member of the NDC. His observed appearance in DPRK state media was in July 2013. 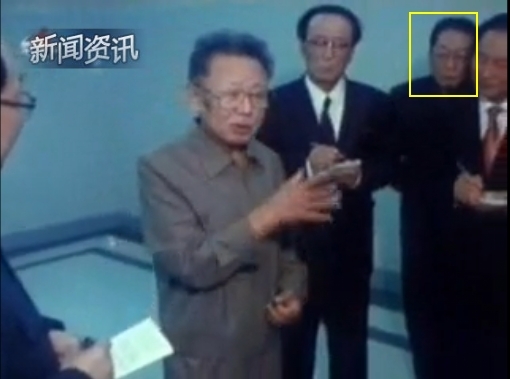 According to DPRK state media, U Tong Chuk was born in 1942 in South P’yo’ngan Province. He attended and graduated from Kim Il Sung University, and completed advance coursework in philosophy.